What are the Odus of the Cowrie Shell Divination and how can they indicate the ways to develop your personal potentialities? Access and find out! Much is heard about the Odus. Even here in the blog, I constantly talk about the Birth Odus, Path Odus and Negative Odus; regent Odus of the day, of the year and even of personalities and political events. But do you know what the Odus are? Imagine that you decided to take a vacation trip and for that there are 16 major roads or highways to get to where you plan. On some of these roads the sun shines among green fields; in others, there are rains and scary thunderstorms. There are also those in which, even with the fine drizzle, the landscape is charming and worth getting a bit wet to enjoy it. Now also imagine that these roads interconnect with each other, creating new paths and allowing one to pass the other until you reach your destination. When you start your trip you organize yourself to follow a certain route, but during the tour you can see a sign indicating some tourist attraction that interests you, or - who knows? - puncture a tire, or decide to take a detour to make a snack. Each turn of these roads, each change of course, brings you new options for travel, new landscapes and new challenges. And as time goes by, even if your final destination remains the same, you discover countless experiences and events you've never thought before, simply because you've decided to change the original itinerary of your trip. the Odus are these roads. Stay with me until the end of this text to understand how these destiny pathways are configured in the consultations to the Cowrie Shells Divination, how they can guide you on the best choices for your life and still win an exclusive ebook about your Birth Odu as a gift! The Odus are, precisely, the spiritual roads that interconnect the Órùn (Heaven) and Aíyè (the Earth), serving as a way for you to develop your best abilities and experience the pains and delights of living. Moreover, it is also on these "roads" called Odus that the Orishas and all the spiritual energies communicate with us and influence our Destiny, and through which Eshu - the Orisha of Communication and Movement - receives and takes our offerings to the Gods and bring from there Their blessings to us. 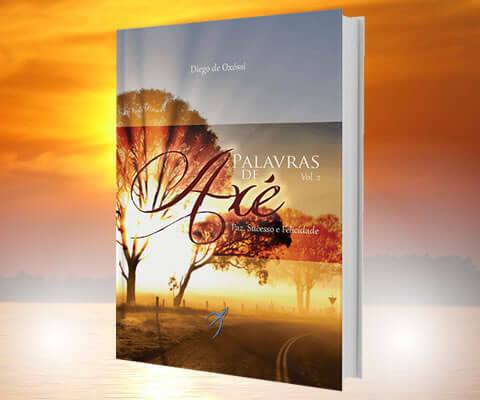 It´s as if each Odu is a range of possibilities of lives, of positive and negative events, of mistakes and successes by which we can pass on our journey through life. Thus, our daily life is formed by a set of these ranges, by the crossing and the combination of these possibilities. for the various situations of religious and daily life. These symbols, councils and orientations are identified by the Babalawos - priests of the Cult of Ifá, through the opele ifá - or Babaloshas and Iyaloshas - as the priests and priestessess of Candomblé and Santeria are called, through the Cowrie Shell Divination. By interpreting these symbols they identify the situations that passes in the life of those who seek them and point out which energies are interfering in a positive or negative way. In addition, the great advantage of consulting the Odus in relation to the other existing oracles, either through the Opele Ifá or the Cowrie Shell Divination, is that in addition to diagnosing the problems, they also indicate the solutions and the rituals to be performed for each of these situations. It may be through a change of attitudes, or the correction of some choices in relation to life and the people around them ... It can be, also, through the performance of magic rituals and offerings to the Orishas - commonly called by the generic name of ebós. For any problem or situation identified during the consultation with the Odus, the Cowrie Shell Divination will always indicate a magic ritual - or rather, an ebó - to seek its solution, as if they were spiritual remedies. In the same way, for every positive and satisfying situation, the Odus will also indicate ebós to give and please the energy that is allowing good things to go the way we want. "... a leaf of a tree does not fall unless there is a spiritual predetermination or a religious background. The superior forces are always called upon to solve the problems of everyday life, and whatever religion the individual chooses, the practice of magic is always pursued in the search for its solutions, even if this practice is veiled or masked by other names." For all this, the consultation to the Cowrie Shells Divination does not make predictions of future. More than that, it uncovers your present, determines the energies that influence your current life, identifies the problems that afflict you, and guides you on the best ways to solve them. That's why in consultation with the Cowrie Shells Divination you do not need to say anything or ask questions: Orisha Ifá, aswell as Orisha Eshu, knows exactly what is happening in the heart of those who come to consult and therefore the messages are deciphered by the Babalosha without you having to say anything. Still, of course you can ask the questions you want, for Eshu is the force that reveals the mysteries of the Universe. Financial and Business Odus: an important tool of spiritual guidance and consulting in the business world, this type of analysis identifies the energies that govern a company and its partners. By analyzing the Odus that rules the inauguration and business life of the company, we can understand and define the best market positioning in relation to it´s competitors; the forms of service and delivery of services to more effectively reach your target audience; the challenges to financial growth and public recognition of the brand in the market, among many other issues (ask for details). Want to find out what´s your Birth Odu? 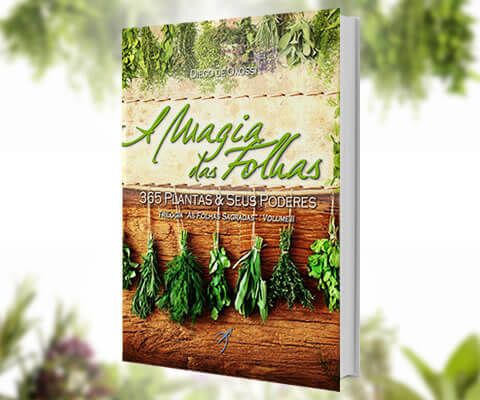 I´ve prepared a special gift for you: the free eBook "Birth Odus". In it, you will learn a little more about the mysteries of your personality, find out what your Birth Odu reserves for your destination and what other Odus that rules your life! A full analysis of your Birth Odus, where we will identify and understand the regent Odus of birthday and it´s influence over your life. Interior revolution and life challenges. Click and buy yours now! What are the energies that govern your Inner Universe and how do they influence your life nd your destiny? + 03 questions answered by Cowrie Shell Divination. What does the Orishas reserve for your Destiny and how do you need to prepare yourself for the next 12 months of your life? The analyzes and forecasts will be sent to the registered e-mail within 72 hours after the confirmation of the payment. In the case of the option"Odus + 3 questions", after confirmation of the payment you will receive an e-mail with the instructions to send your questions; the period of 72 hours will be considered from the reception of the same.